Substitutes or stand-ins are allowed in a tournament if the team size label has a "+1" or "+2", e.g. 5+2. Switching ("subbing") out a player from the main lineup with a substitute must be done before the next round of a tournament has begun. During the team drafting process, you will be given the additional option of adding substitutes. These players will be able to play in later rounds of the tournament. The drafted team and it's substitutes are shown as usual on the Tournament Overview page. 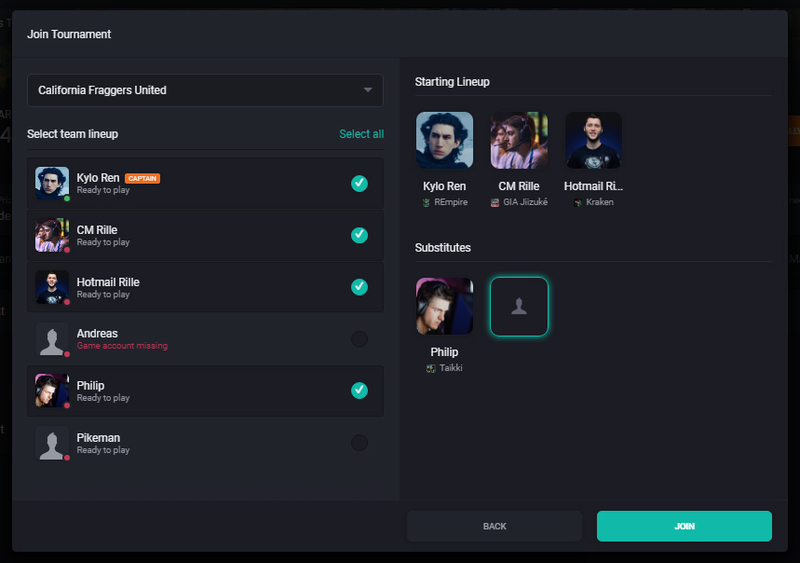 From here you can add or remove additional players and switch players from the main lineup with players who are substitutes. and then click on the player currently in the main lineup; this will flip their positions. Click "Done". 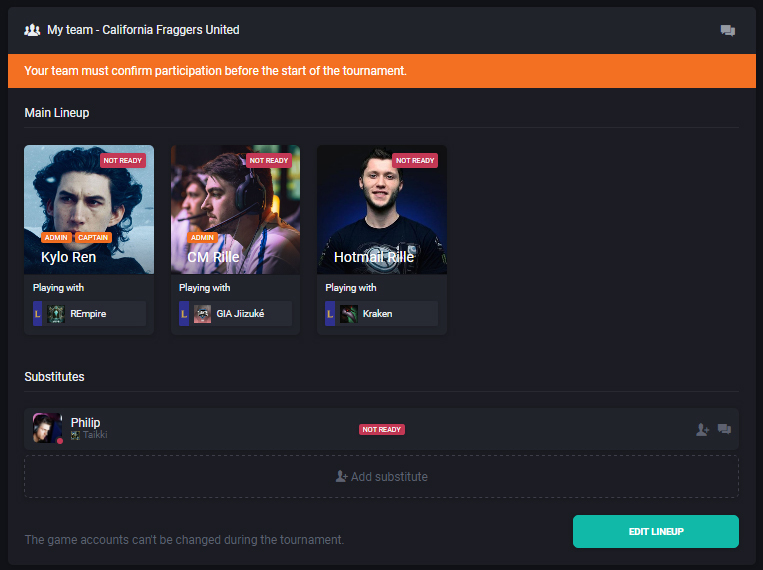 Your team lineup should now be updated on the Tournament Overview page. Inviting a new player into the lineup that wasn't drafted before the tournament started will require admin approval. 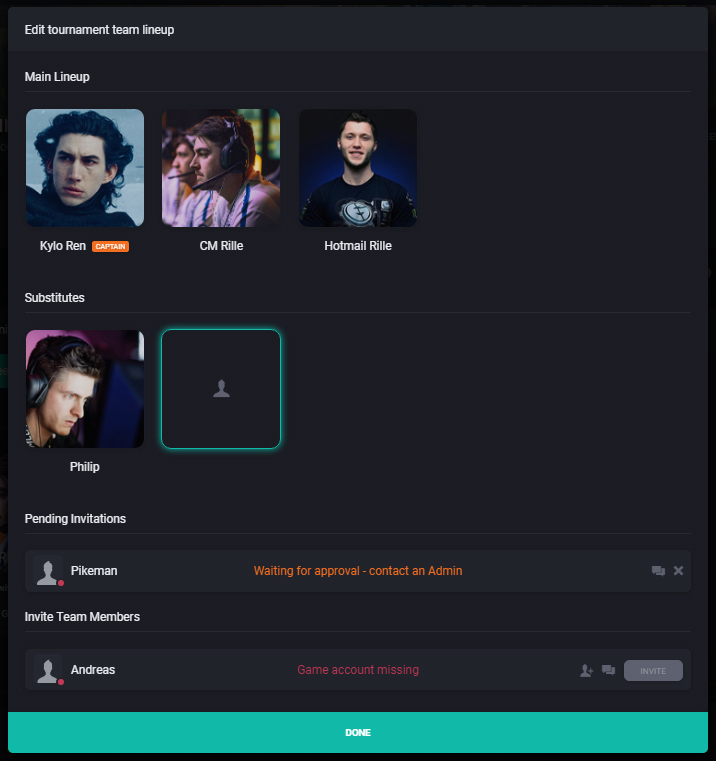 Make sure to contact an admin right away if you wish to include the invited player in the upcoming round. *A tournament game will count as having has started when the tournament game lobby has been created. 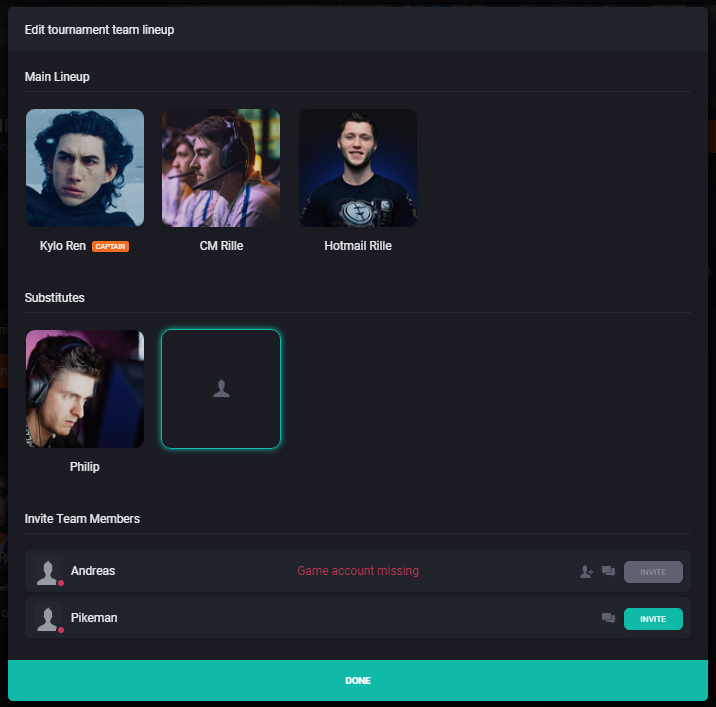 This is when the tournament system will take the current main lineup and give them access to the lobby (and server or tournament code).